Pasadena Poly 3, Oaks Christian 1 — Gacenda, Wardlaw and Hanel score goals as Panthers break 1-1 tie at halftime with two second-half goals for the win. Poly will play Amat either Friday or Saturday for the D-3 title. Marshall 2, Gabrielino 0 — Eagles on their way to D-7 title game on Friday or Saturday vs. Arroyo. Marshall scored twice in the second half and as usual the Eagles’ defense was outstanding. 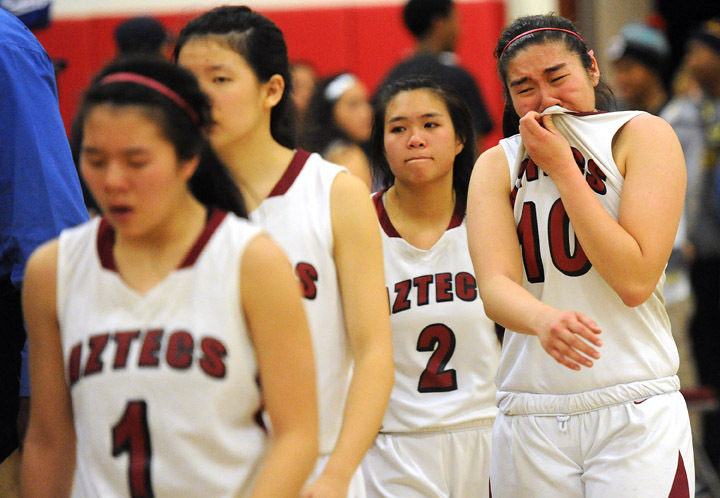 Keppel’s girls basketball semifinals game against JW North has been moved to Wednesday at 7 p.m. at Keppel High. Both JW North’s girls and boys basketball teams are in the semifinals and the school requested to not play both games on the same day. After some urging from CIF, Keppel obliged and moved the game. However, the winner of the game will have just ONE DAY off before playing in Friday’s championship at Anaheim Arena at 5:15 p.m. Follow me on Twitter @aramtolegian for scoring updates throughout the season. Drink it in. And as usual, feel free to tell me where I went wrong. Looks like we have a dynamite cast of teams this season and a couple of them appear headed toward huge springs. 1. Alhambra — Best pitcher, enough hitting back and the wisdom of Guru Gewecke. 2. Monrovia — Not one, but two legit starters. Mata should be stellar. 3. 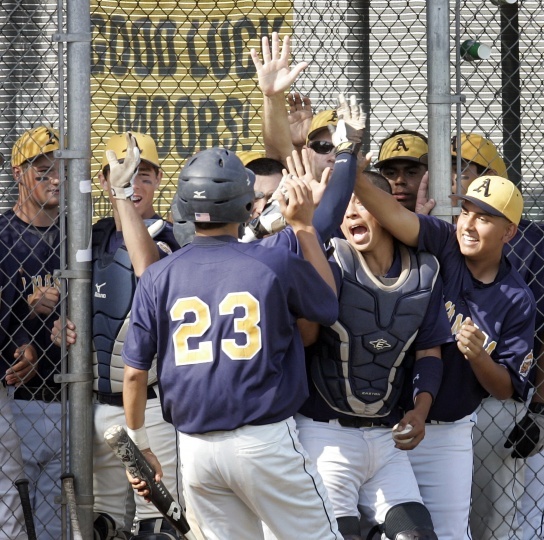 Arcadia — Pitching is a question, but talent abounds. X-factor will be Joey Harmon. 4. La Salle — No more Derby, but Wallis threw 54 inn. and young hitters have upside. 5. Pasadena Poly — Exceptional talent in Orndorff, but top two pitchers graduated. 6. St. Francis — Nice talent and optimism abounds with Milam at the helm. 7. San Marino — 6-4, 205-lb ace in Bain, but Titans have to hit better. Surprise team. 8. Temple City — Decimated by graduation, but Bacon Ball has been known to reload. 9. Pasadena — Top pitcher and top two hitters are back, but after that it’s dicey. 10. Maranatha — Won 13 games in ’12, but lost 18 starts to graduation. Coaches: Be sure to text/tweet me your scores as much as possible and I will get them posted. Baseball Preview: A full baseball preview of the Top 10 teams will run in Tuesday’s paper with more information for each team.